A pool in your garden is many people’s most practical option. For starters, that’s where they have the most available space. The pool installation is often more straightforward, and therefore, cheaper. 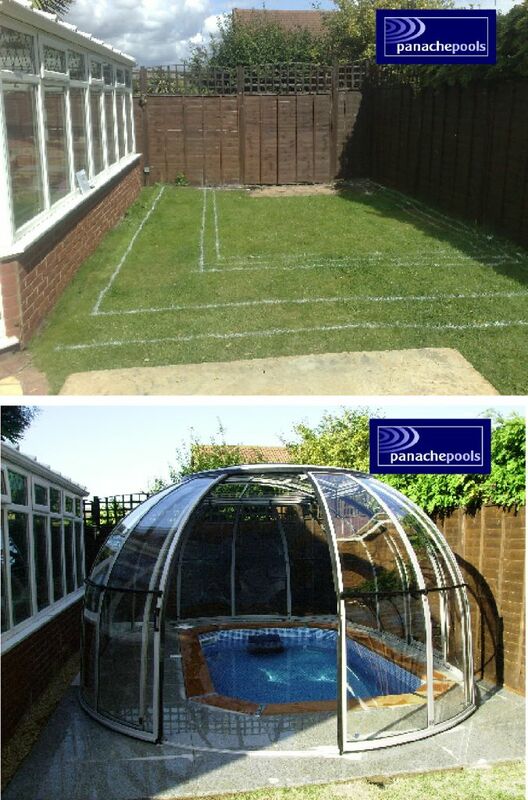 Our Endless Exercise Pools can be installed above-ground, semi-submerged or fully in-ground. They look fantastic and there’s nothing quite like a swim in the open air. Many people incorporate their exercise pool into a decked area and it’s a great option. Whenever discussing an outdoor pool, we can’t ignore the great British weather. It’s especially important to most exercise pool owners. Not surprisingly, the major reason for owning an exercise pool at home is because you want to benefit from a regular swim; whatever the weather. Now there are some hardy souls who take a daily swim in their heated exercise pools in all weather, throughout the year. But that’s not for everyone. So we need to look at some options that will allow all-year round swimming. Two popular options we’ve provided for clients is 1. A fully in-ground pool inside a sliding enclosure – see photo. 2. A semi-submerged pool in a timber cabin – see photo. Both options allow our clients all-year round swimming. You don’t need a large garden and the installation process is straightforward and quick. You could be enjoying your new pool in a matter of weeks. An indoor pool is often the preferred choice if you have the space. Basements or garages are popular indoor locations. 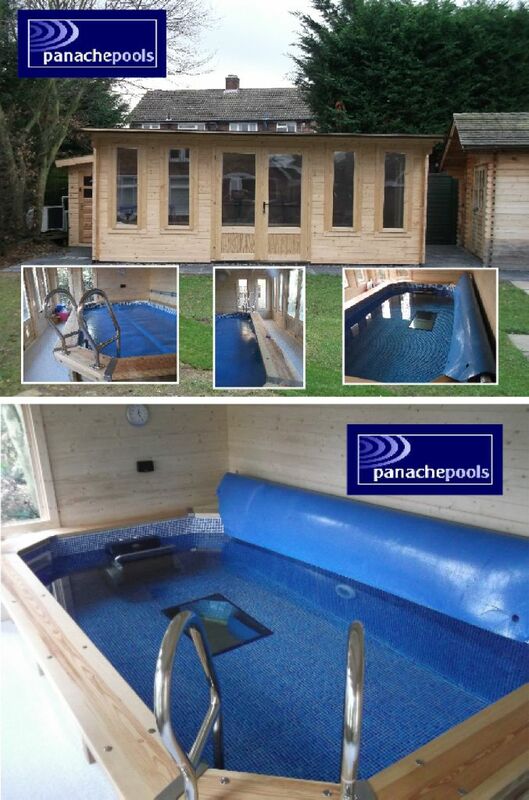 At Panache Pools’ we have successfully installed exercise pools in both a basement and garage. Our Endless Exercise Pools are assembled on site, meaning we only need a standard doorway to gain access to the pool location. 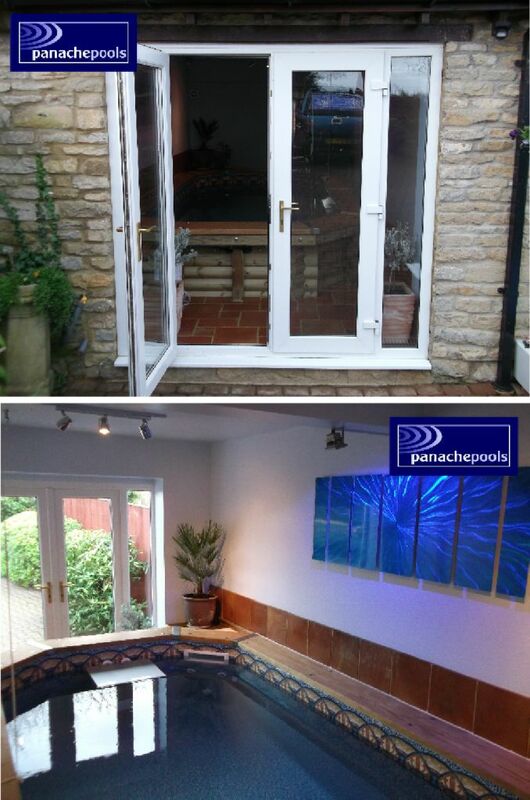 An indoor pool obviously provides all-year round use and they can look fabulous. Many people create a leisure/ exercise room and incorporate other exercise equipment, maybe a sauna (we supply and install saunas also) creating a fantastic facility for all the family to use and benefit from. If you don’t have enough space for a dedicated leisure/exercise room you may still have room for a pool room housing an Endless Exercise Pool. We have installed one of our pools in a single garage. Take a look at the photo’s. Our clients were able to make fantastic use of an unused space. So you can see that one of our Endless Exercise Pools offers really practical options and brings the possibility of owning a pool at home to a much wider audience. We hope we’ve given you some food for thought and opened up your mind to the very real possibility of owning an Endless Exercise Pool. 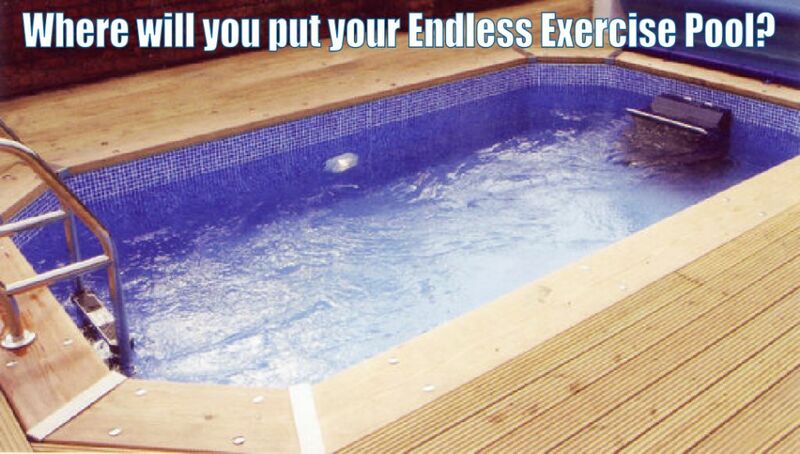 For more information and advice why not give us a ring on 0800 0665979, or visit our website dedicated to our range of Endless Exercise Pools at www.EndlessExercisePool.co.uk.